Often, it is necessary to utilize components from many different hydraulics parts manufacturers in order to create the perfect hydraulic system. Fortunately, most manufacturers plan for this and make their parts compatible. Parker hydraulic adapters in Anaheim CA come in such a wide variety of sizes, pressure ratings, temperature ratings, etc. that they can be used to connect just about any parts in any system. Come visit Bernell Hydraulics and we’ll help you find the high-quality Parker adapters you need. 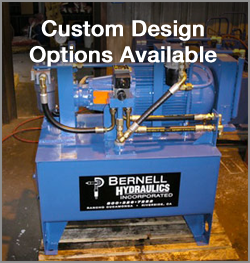 Bernell Hydraulics has been a leader in the hydraulic parts and service business since 1977. Our expert staff will go the extra mile to help you find what you need, even if that means calling up Parker to ask for details about various Parker hydraulic adapters in Anaheim CA. As an authorized ParkerStore, you can trust us to only sell certified Parker parts that will live up to the high expectations you have for this leading hydraulics brand. Pick up your adapters in one of our stores, have them shipped to you, or have them delivered and installed right at your jobsite.